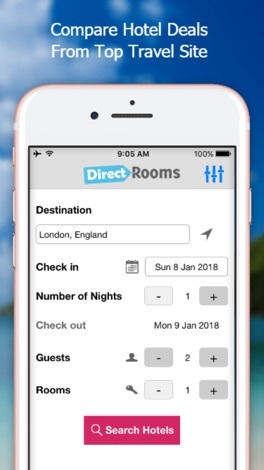 With the FREE DirectRooms App you get the REAL DEAL by comparing hotel prices from over 278 booking sites with 1 easy search. 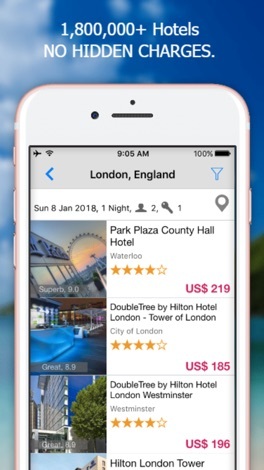 * Compare prices from hundreds of hotel booking sites (including Booking.com, Expedia, Agoda, Hotels.com, Lastminute.com, Venere, EasytoBook, Travelocity, HotelClub, eBookers, AsiaRooms and LateRooms to name a few). * Our prices include taxes and service, so no nasty extras. * No booking or credit card fees. * Just one search and done! 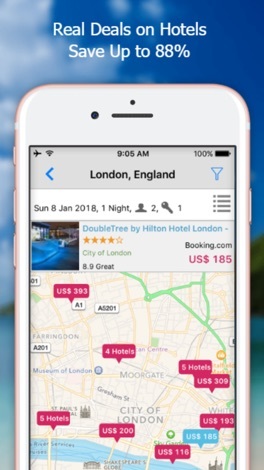 * Book a hotel tonight and for any other night. 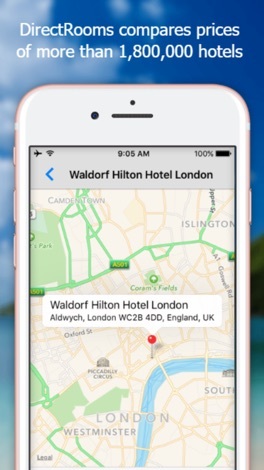 * Select hotels near me. * Choose from over 1,880,000 hotels worldwide. * Comprehensive hotel info, including description, maps, pictures and facilities. 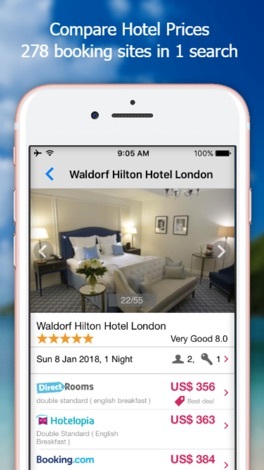 * Filter your results by price, star rating, guest and TripAdvisor reviews, type of property, payment options, booking sites and many more options. * Our Code of Conduct ensures you get the REAL DEAL, everytime and with confidence. * No annoying ads or gimmicks.